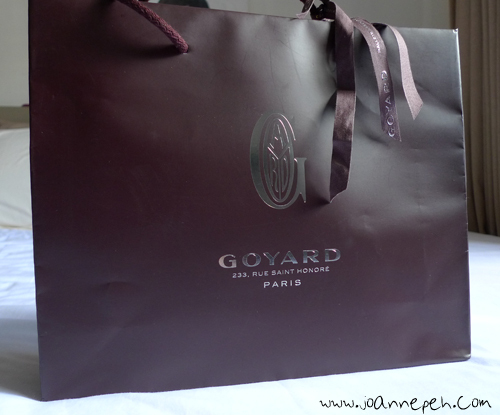 Some years ago, an air steward friend of mine told me about Goyard bags. He recommended the St Louis Tote to me, but at that time I didn’t appreciate it, thinking that it’s just an overpriced piece of canvas. My thoughts were: It’s so light and flimsy-looking, how can it bear heavy weight? The truth is, it is stronger than it looks. After doing a bit of search on the Internet, I now understand why. 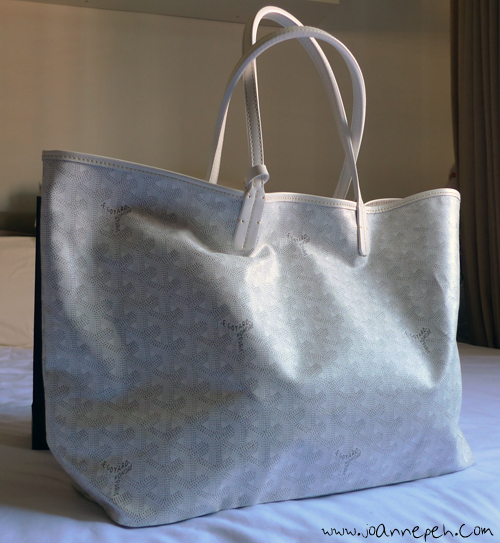 Goyard makes luggages, so it’s no surprise they use ligh-weight and durable materials. 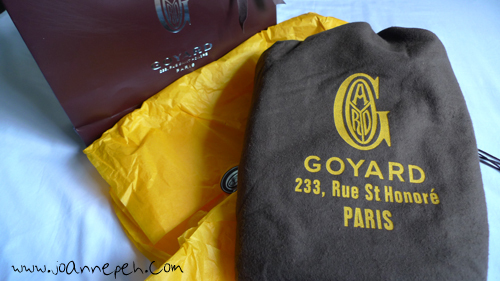 Goyard is a French malletier (trunkmaker) founded in 1853, and is now currently the oldest trunk maker in existence. In the past, the Grand Duke of Russia, the Maharajah de Kapurthala, The Duke and Duchess of Windsor and many aristocratic families, all travelled with Goyard luggage. And their special orders have always been an important part of Goyard’s reputation. 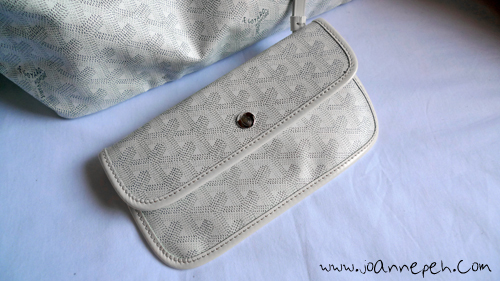 Goyard is known for its hard-sided trunks, and small accessories. All pieces are covered in a signature hand-painted patented Chevron canvas made of cotton, linen, and hemp and displayed in various colors. The chevron canvas was created in 1892, traditionally produced in black and red. 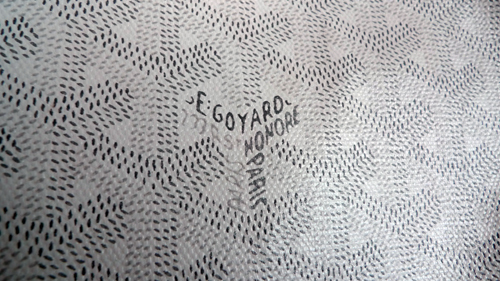 Goyard is renowned for monogramming the durable, lightweight canvas with the initials of their customers upon request. A very sweet Apple Hong who just got back from Paris brought this back for me! It came complete with the paper bag too! It's such a joy opening it up!! My St Louis Tote PM in White (€580). It feels light but sturdy, and if you look closely, all the stitching are done to make sure the handles don't break and the bag doesn't split at the sides. I just love the hand-painted details. This is a piece of art! 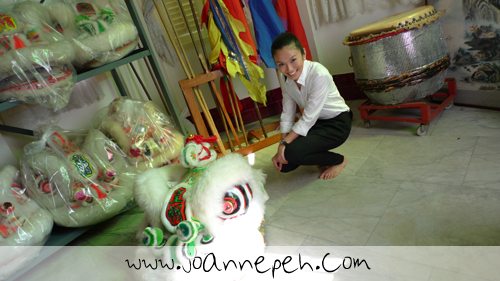 Meet the Lion Dancers and Main Cast LIVE! 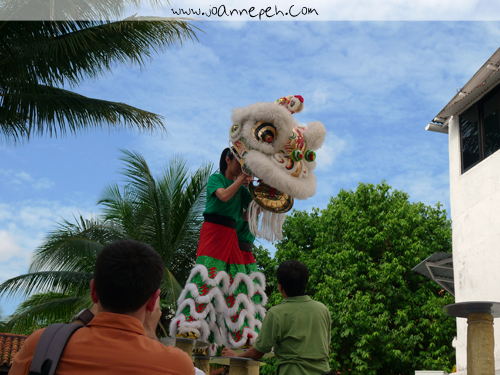 I tweeted some time ago that I salute the pivotal back guy performing the lion dance. That is because I’ve seen the immaculate coordination of these two guys. The front guy is quick and nimble, and the back guy is strong and stable. 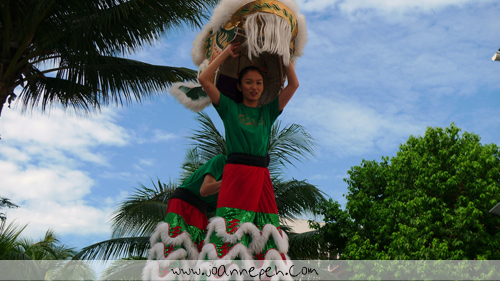 I enjoy watching them perform because of the way they make the lion come to life. You’d want one as a pet! If you’d like to catch them and the main cast of the Telemovie Series, do take note of our filming date, time and venue and see you there! 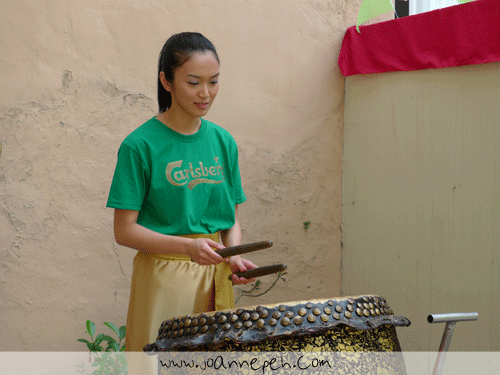 Stay tuned to the Carlsberg Telemovie Series, beginning tomorrow, 17 January, 8-10pm on Channel 8. 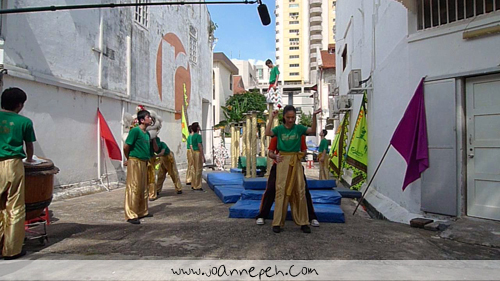 First episode featuring Zoe Tay as one of our guest stars. 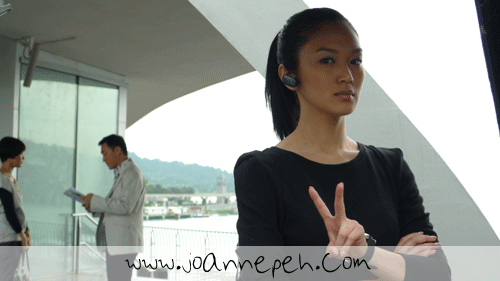 Dai Yang Tian and I are best friends in the show. ...yes, don't mess with me. 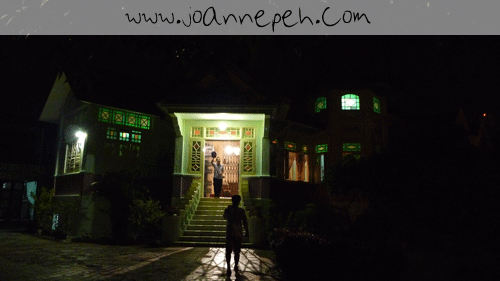 My maiden journey in a real limousine! 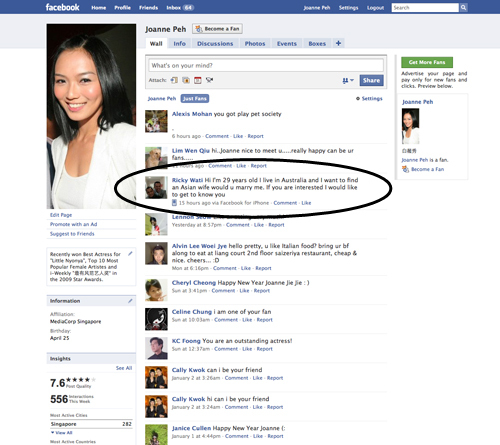 Pornsak was supposed to be the driver, but because he doesn't have a drivers' license, production got a stand-in for him instead. There are even LED lights on the ceiling. 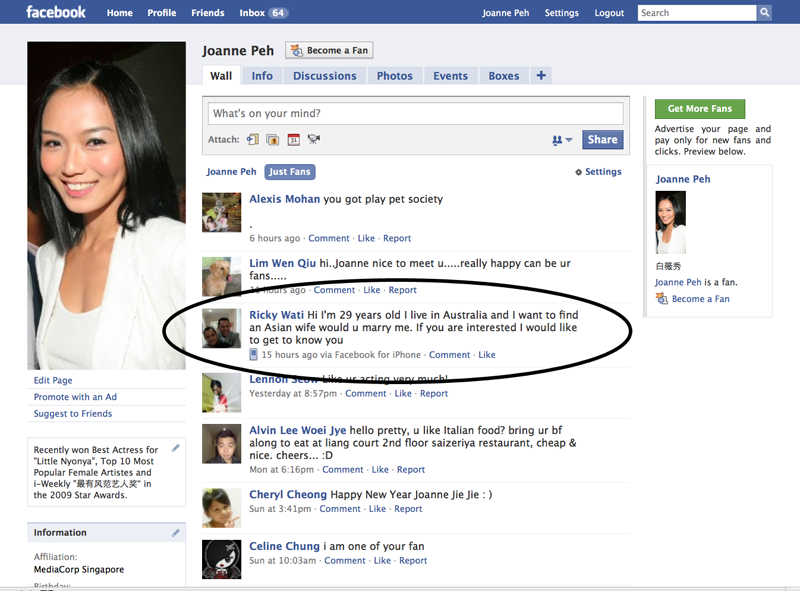 This is first class treatment! Oh, was it something embarrassing? 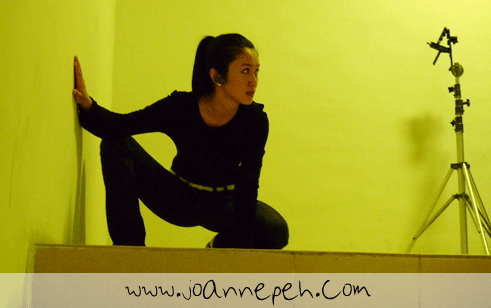 I have a lot of fighting sequences in the show, most of which are done on my own, stay tuned for them in Episode 1. 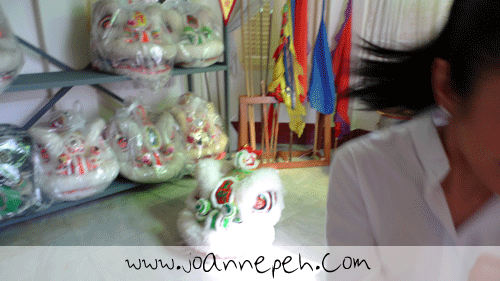 My father is the instructor of our lion dance troupe and his character is played by Ye Shi Pin. He is here with his body double Joseph, and our director, discussing the lion's movement. ... it was the grossest thing ever!! ...but outside of it, we love to goof around! Basking in the glow of the afternoon sun. 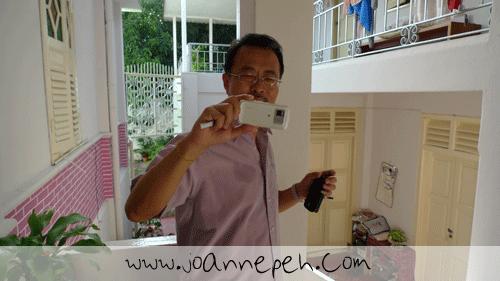 My father and his all-in-one camera mobile phone. This is our house. Why is he standing there all alone, you got to watch to find out! This looks silly, but it's funny when you watch the video below. This is how we keep ourselves awake after a long day of filming! Whatever happened to the good old days of being friends first?